Block colour can be a mystery, come learn a fun technique to take the fear out of block colour using Full Spectrum™ Demi+ Custom-Deposit Treatment Hair Color™, and mix creatively with other categories from Aveda. Learn to intentionally choose the correct colour combinations and saturations to give you the finish that will shimmer. Determine Colour Choices and understand why certain colours work next to each other well. Creatively Intermixing Demi+ with Blonde Finish Toner and Men’s Grey Blending for a natural and a smoky finish. Learn a fast Shadow Root, with bottle and brush, using the creative intermixing formulas. for Aveda. 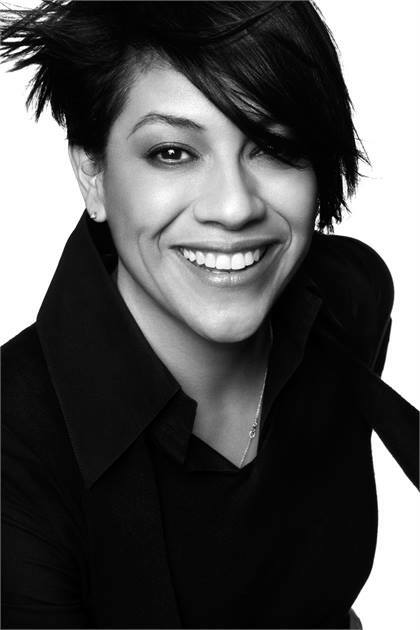 She has played a key role in the creation of Aveda Collections that set haircut and colour trends for the season. Lupe is responsible for creating the Hair Colour Magic educational program, which teaches creative placement and the art of formulation for customized colour. A gifted educator and a world-class colourist, Lupe epitomizes the true spirit of inspirational education.